1. Kitaabs were revealed to the Ambiya to teach and educate their nations. The big books are called "Kitaabs" whilst the small ones are called "Sahifas". 2. Muslims believe in all the Books sent by Allah Ta'ala. The Tauraat was revealed to Hazrat Moosa (alaihis salaam); the Zaboor was revealed to Hazrat Dawood (alaihis salaam); the Injeel was revealed to Hazrat 'Isa (alaihis salaam) and the Holy Quran was revealed to our Nabi Hazrat Muhammad (sallal laahu alaihi wasallam). 3. 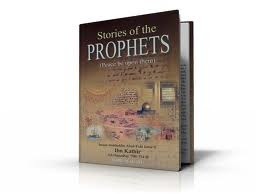 The followers of these Prophets altered these books (Tauraat, Zaboor and Injeel), added or extracted statements and, therefore changed the Orders of Allah Ta'ala. 4. The Holy Quran is such a unique book that no one can make another like it. Even if the whole world tried together to make one, they would not be able to. 5. The Holy Quran is complete with all the knowledge and every aspect is enlightened. It is the same now as was fourteen hundred years earlier as it was when it was revealed, and will always remain the same. 6. Those who say that someone has altered or increased or decreased the Holy Quran or that the true Quran is kept by the Imaam of the Unseen, then they are Kaafirs. The Holy Quran that we have today is the true Quran. 7. It is necessary for all to bring faith on this Holy Quran. There will not come a new Prophet or a new book. Those who believe against this are not Muslims. 1. Messenger" or "Rasool" means he who brings the Message from Allah Ta'ala to the servants. 2. A "Prophet" is he who received the "Wahi" (Revelation, a Message from Allah Ta'ala) for the guidance of mankind to show people the path to Allah Ta'ala. 3. Many Prophets and many Angels are Messengers (Rasools). 4. All Prophets were male. There has never been a Jinn as a Prophet nor a female Prophet. 5. A Prophet becomes a Prophet who Allah Ta'ala wishes to be or whom Allah Ta�ala deems fit and a Prophet is born as a Prophet. A Prophet always stays away from sin even before becoming a Prophet. He is always attracted to good. There is never an aspect in a Prophet that people would hate. 6. Those who believe that they can become a Prophet due to their effort are Kaafirs (non-believers) and those who believe that a Prophet's prophecy can be taken away from him is also a Kaafir. 7. A Prophet's walk, conduct, looks, features, nobility, family, ways, manner, talk and conversation are all good and free from faults. A Prophet's intelligence is complete. A Prophet is the cleverest out of all people. The highest qualified doctor or philosopher's intelligence does not reach even a millionth part of a Prophet's intelligence. 8. A Prophet or an Angel are Ma'soom, meaning they are completely immune from sin and therefore cannot commit a sin. 9. Except for Prophets or Angels, if one believes that an Imaam or a Wali (Saint) are also Ma'soom, then they are misguided and have deviated from the right sect. Although there are Imaams and great Awliya who also do not commit sin, however, if sometimes they do commit a sin, then according to Shari�ah, this is not impossible. 10. Those who say that the Message of Allah Ta'ala is sometimes not passed on by a Prophet due to the fear of people or some other reason, is a Kaafir. 11. Prophets are better than all creations. In fact, they are better than those Angels who are Rasools. 12. Regardless of how high a rank of a Wali is, he can never be equal to a Prophet. Those who show a non-Prophet to be better than a Prophet are Kaafirs. 13. The respect of a Prophet is compulsory on every individual. The slightest disrespect of any Prophet is Kufr (infidelity). 14. The Prophets are just as alive in their graves as they were when in this world. They eat, drink and go and come as they wish. They were given death for a moment and then were brought back to life so that Allah Ta'ala's promise would be complete. Their lives are better than those of Martyrs (Shaheeds). 15. Allah Ta�ala gave the Prophets the Knowledge of the Unseen (I�lme-Ghaib). Every particle of the sky and earth are in front of the sight of all the Prophets. Therefore, this knowledge is "Given Knowledge" (Ataayi) and because Allah Ta'ala's Knowledge is not given to Him by anyone and, therefore, is "Self Knowledge" (Zaati). 16. Any follower cannot, due to his will power, piety, worship, and willingness to follow Allah Ta'ala, be better than any Prophet. 17. Prophets are always involved in the remembrance of Allah Ta�ala even while they are sleeping or awake. 18. To talk about the mistakes that have been committed by the Prophets is Haraam (strictly forbidden), except for when praying about them in the Holy Quran and Hadith. 19. It is improper and disrespectful to write abbreviation after the name of Nabi Muhammad (sallal laahu alaihi wasallam) or of any Nabi or Rasool. We must write "sallal laahu alaihi wasallam" or "alaihis salaam" in full. 1. Hazrat Adam (alaihis salaam) is the first human. He is also the first Prophet. 2. All humans are his children. 3. Allah Ta'ala made Hazrat Adam (alaihis salaam) without the need of a mother or father. He was made from soil. 4. Allah Ta�ala made him His Caliph. Allah Ta'ala gave him the knowledge of all things and their names. 5. Allah Ta�ala ordered the Angels to prostrate to Hazrat Adam (alaihis salaam). All the Angels performed the prostration except Shaitaan, who refused and was therefore evicted forever and became a Kaafir. 7. Hazrat Nooh (Noah), Hazrat Ibrahim (Abraham), Hazrat Moosa (Moses), Hazrat 'Isa (Jesus) were Mesengers and also Prophets. 8. Some other Prophets mentioned in the Holy Quran are: Hazrat Ismaeel, Hazrat Ishaaq, Hazrat Ya'qoob, Hazrat Yusuf, Hazrat Moosa, Hazrat Haroon, Hazrat Shu�aib, Hazrat Loot, Hazrat Hood, Hazrat Dawood, Hazrat Sulaiman, Hazrat Ayoob, Hazrat Ilyaas, Hazrat Yahya, Hazrat Yunus, Hazrat Idrees, Hazrat Zulkifl and Hazrat Saaleh (alaihimus salaam). 9. The status of the Prophets varies from one another. Some are more superior to others and the most superior of all the Nabis is Hazrat Muhammadur Rasoolullah (sallal laahu alaihi wasallam). The next most superior is Hazrat Ebrahim Khaleelullah (alaihis salaam), who is followed by Hazrat Moosa (alaihis salaam), and then Hazrat Esa (alaihis salaam), and Hazrat Nooh (alaihis salaam). These five Ambiya are known as "Mursaleen Ulul Azm". They are also superior to all other Prophets. 10. Just as our leader Hazrat Muhammad (sallal laahu alaihi wasallam) is the greatest of all Prophets, (without comparison), his Ummah is the greatest of all the Ummats. 11. An exact number of how many Prophets that have been sent into this world is not known, but is said to be approximately 124 000. 12. The last of all Prophets and Messengers and the most virtuous of all creations is Allah Ta'ala's most beloved - our Master, Hazrat Ahmad Mujtaba Muhammad Mustapha (sallal laahu alaihi wasallam). 13. Rasoolullah (sallal laahu alaihi wasallam) is Khaatimun Nabiyeen (The Final Prophet). After the beloved Prophet there has never been another Prophet nor will there be another Prophet. Whoever believes that there will be a Prophet or there has been a Prophet during our Prophet's era or after or actually believes it as a possibility of someone obtaining Prophecy is a Kaafir. 1. Allah Ta'ala created from His Noor (light) our beloved Prophet, before any other thing. 2. The Prophets, the Angels, the Earth, Skies, Heavens, etc. have all been created from the ray of the Holy Prophet's (sallal laahu alaihi wasallam) light (Noor). 3. Except for Allah Ta'ala or being equal to Allah Ta'ala, our beloved Prophet (sallal laahu alaihi wasallam) has been given whatever qualities there are, and whatever excellence exists, by Allah Ta'ala. In the whole universe, there cannot be anything or anyone with the same or greater quality than our beloved Prophet (sallal laahu alaihi wasallam). 4. The Holy Prophet (sallal laahu alaihi wasallam) is the most virtuous creation and a delegate of Allah Ta'ala. 5. All the Ambiya (alaihimus salaam) were sent down to a particular group of people or a particular nation, but the Holy Prophet Muhammad (sallal laahu alaihi wasallam) was sent to the entire creation. 6. The Holy Prophet (sallal laahu alaihi wasallam) is Mercy unto the humans, Angels, Jinns, animals and all the other creations of Almighty Allah and his special blessings is upon the human beings. 7. The Holy Prophet (sallal laahu alaihi wasallam) is the Prophet of all the other Prophets and it is a necessity for everyone to follow the Prophet (sallal laahu alaihi wasallam). 8. Allah Ta'ala has gifted the Holy Prophet (sallal laahu alaihi wasallam) with the keys of all Allah Ta'ala's treasures. All the world and religious gifts are provided and created by Allah Ta'ala and shared and given out by our beloved Prophet (sallal laahu alaihi wasallam). 9. Allah Ta'ala gave our Prophet (sallal laahu alaihi wasallam) the unique gift of Me'raj, meaning that Allah Ta'ala called him above the skies (Arsh) and showed him His Vision with the Prophet's (sallal laahu alaihi wasallam) own eyes. 10. The Prophet (sallal laahu alaihi wasallam listened to Allah Ta'ala's Voice and was given a tour of Jannat (Paradise), Dozakh (Hell), Arsh (above the skies) and Kursi (Throne). 11. On the Day of Judgement, our Prophet (sallal laahu alaihi wasallam will be the first to perform intercession, meaning that he will intercede for people in the Court of Allah Ta'ala. 12. There are many other qualities, too much to mention in this short section. 13. If someone treated any of the Holy Prophet's (sallal laahu alaihi wasallam) quotations or actions or deeds or situations as not worthy or looked upon them with degrading value, then they are Kaafirs. 1. When a Prophet performs an action that is impossible to perform to prove his prophecy and it astonishes the Kaafirs, it is known as a "Maujizaa". For example, to bring back to life the dead or to split the moon into two with the movement of the finger. 2. If these types of actions are performed by a Wali (Friend of Allah Ta'ala), then it is known as a "Karaamat". 3. If they are performed by an ordinary person or wrongdoer or a Kaafir, then it is known as "Istidraj". 4. When people see a Maujizaa, the truth of a Prophet is accepted. 5. False liars who claim to be a Prophet cannot perform these types of miracles. Allah Ta'ala never gives the false claimants of Prophethood the power to perform Maujizaas, otherwise one would not be able to distinguish the difference between the true Prophets and false claimants.